Several of our crew-members here at Crutchfield moonlight as musicians — and many of them trust Mackie gear for their live shows. The company has made world-class mixers and other live-performance gear for decades, so they know what's important on-stage. 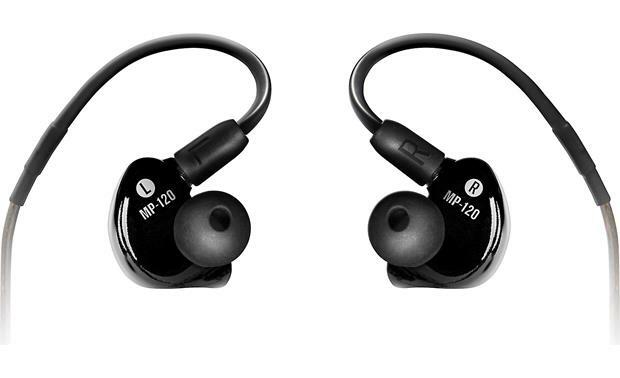 The MP-120 headphones use a single dynamic driver to deliver natural, detailed sound for monitoring sound. They particularly excel in the mid range, where most music lives. Single Dynamic Driver: The Mackie MP-series professional in-ear monitors are made for live, on-stage performances. The monitors feature molded low-profile enclosures for maximum comfort and bass response. 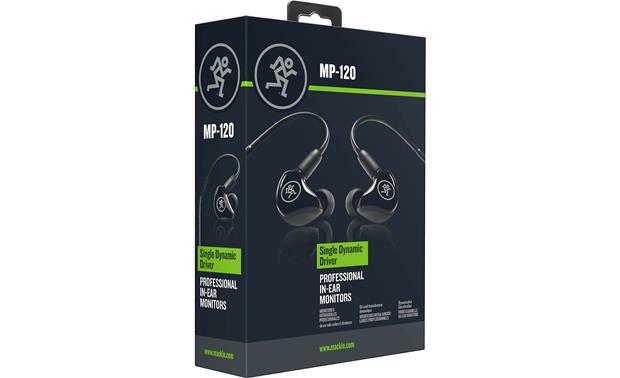 The MP-120 is equipped with a single, high-performance dynamic driver that offers a good balance of bass, high-frequency detail, and clear vocals. 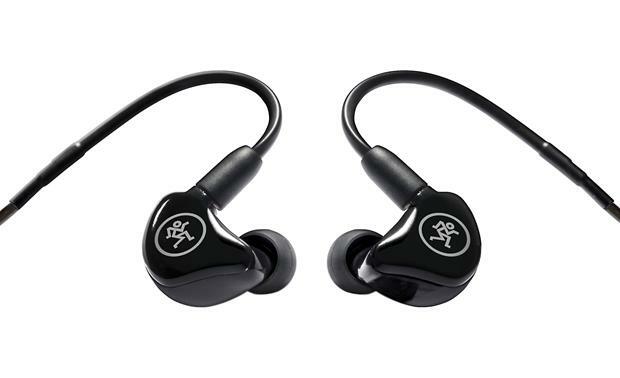 The earphones come with three styles of ear tips in three different sizes, so you can choose what works and fits best in your ears. 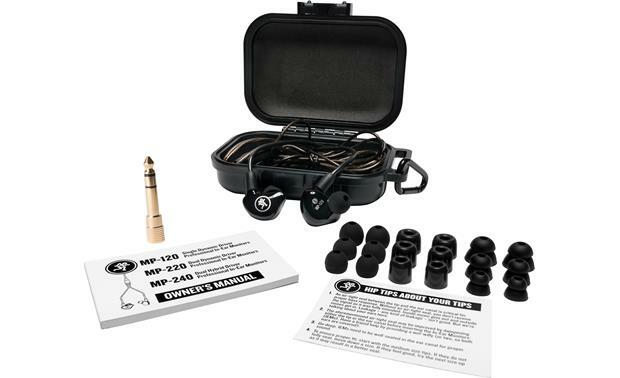 The MP-120s include a hard molded plastic case to hold your in-ear monitors and ear tips. Cable: The MP-120 comes with a 59.1" shielded, braided cable that delivers extra durability and sonic performance. 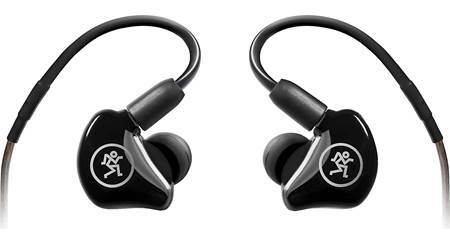 It features an over-ear design to keep them securely in your ears, and the cable behind your head and out of the way. The cable is removable and replaceable in case of damage. The cable attaches to the ear buds via a swiveling MMCX connector. The cable is terminated into a right-angled 3.5mm plug. 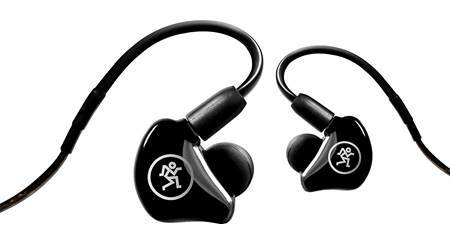 Accessory Plug: The MP-120 in-ear monitors are designed for use on stage, or for leisure. 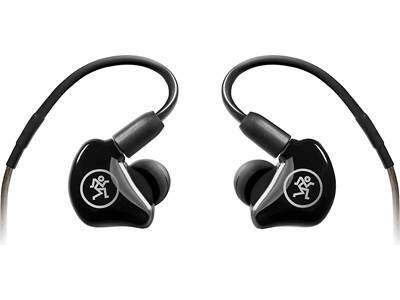 They include a 3.5mm-to-1/4" adapter so you can use your headphones with your home audio components or professional sound consoles with a 1/4" headphone jack. 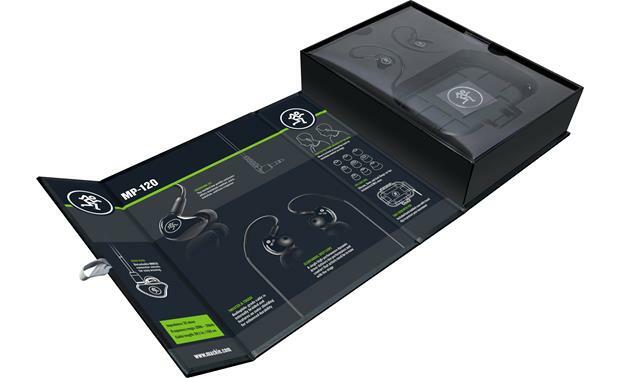 Carrying Case: The MP-120s come with a compact, molded, hard plastic carrying case that will protect your in-ear monitors when not in use. 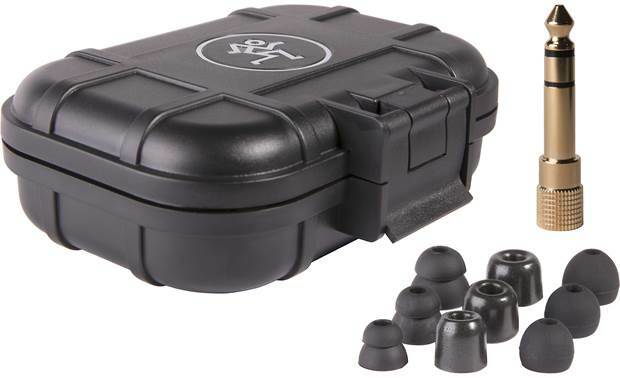 This clam-shell style case has a locking closure and a carabiner-style clip for attaching it to other items. 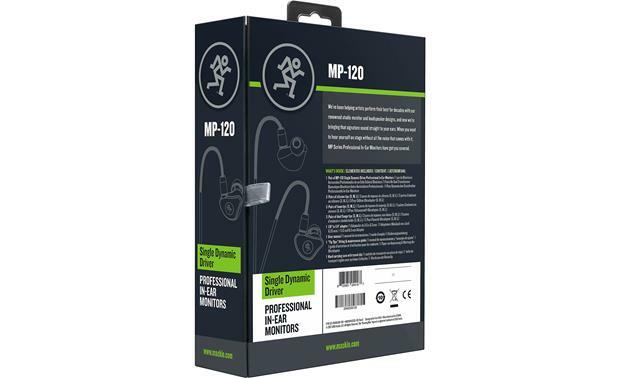 Searches related to the Mackie MP-120 In-ear monitoring headphones (single driver design).